I LOVE IT!…mainly, because the entire premise builds off the power of the wisdom of three. It guides a Solutionary along the ultimate path that leads to a successful life. All of these go hand in hand and all are very important in shaping a quality leader. 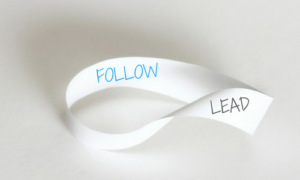 In this article we will dig deeper into what it really means for a leader to have a practice of followship. It is my belief that before someone is worthy of being followed, they must first prove to be a good follower them self. By being a loyal follower one learns what it means to honor, respect and trust someone else. These lessons are critical in our own personal development as well as in building a high producing team dynamic that every leader desires.